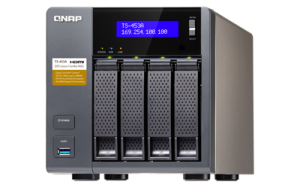 The QNAP TS-453A should support most DDR3L memory modules. The trailing “L” is very important and stands for low voltage (1.35 V instead of 1.5 V). 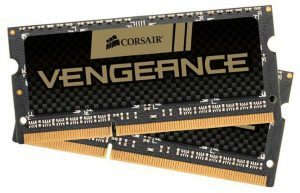 So I acquired a matching pair of compatible memory modules (Corsair Vengeance 16GB (2x8GB) / DDR3L / CL9 / 1600MHz / CMSX16GX3M2B1600C9). The video here demonstrates the very simple physical procedure of opening up the enclosure and swapping the memory modules (only 3 screws!). Picture 3. 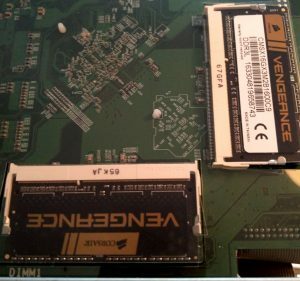 QNAP TS-453A, New memory modules in place. Picture 3. QNAP System status, displaying 16 GB! Officially the QNAP TS-453A does not support 16 GB of RAM, but it does work without any issues as the system status picture above shows. 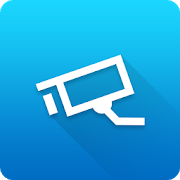 Next Next post: Qnap Linux Station: How to log in with VNC to your Ubuntu instance.